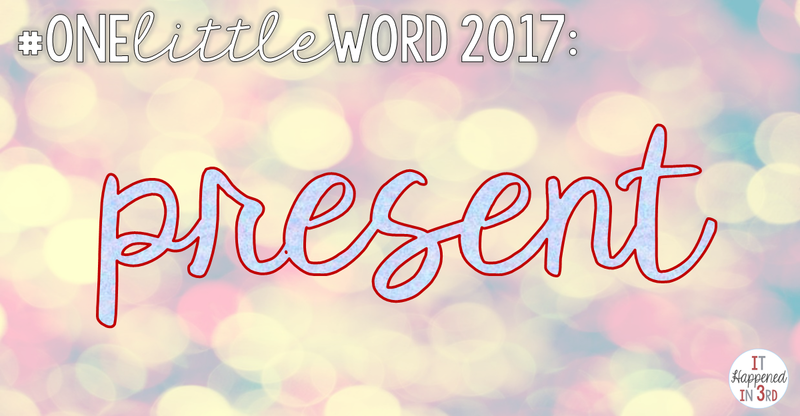 I'm joining many of my Internet friends in choosing #onelittleword to help me define 2017. As a lover of words, and a big believer in the power words can hold, it was a difficult process to narrow it down to just one! 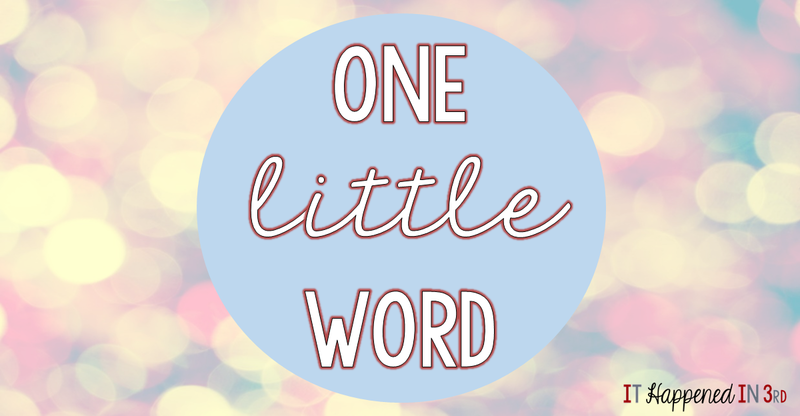 I'm a huge word nerd (just ask my students!) and I love a good homograph, so I really wanted a word with multiple meanings, AND for the meanings to be relevant to what I want to accomplish this year. After a lot of thought, I finally settled on the perfect word! My whole life, I've been a daydreamer. I can be physically in one place, but mentally a million miles away. In addition, I'm an overthinker. Once something is on my mind, it's hard for me to get it out of there and focus on something else. On top of that, I get distracted SUPER easily! People who know me are always surprised by this, because I tend to be very calm outwardly, but my brain is like a browser with 500 tabs going at any given moment. These are not necessarily the worst traits to have...in some ways, these habits fuel my creative side. However, as I was reflecting on the past year, I started thinking, what am I missing in those moments that I'm not all there? 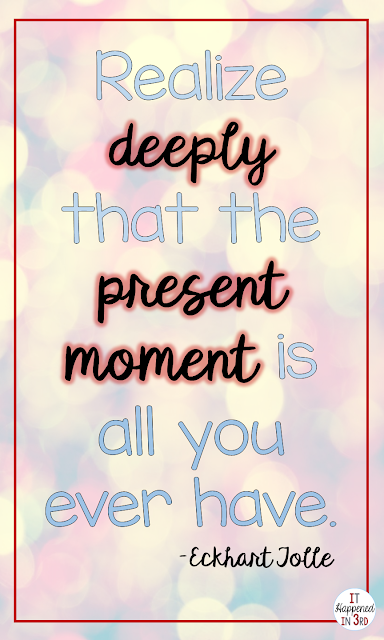 It's time to live a little bit more in the here and now. This means: focusing on one task at a time (in other words, blogging WITHOUT marathoning Bravo in the background), keeping my phone out of sight unless I need it, and making an effort to spend quality time with those I care about. When I began my TpT/blogging journey, one of the things that was most attractive to me was how it seemed (at the time) that the focus was on your products/content. In other words, you could kinda hide behind your keyboard, which is perfect for a quiet, introverted person such as myself. However, times are changing, and I'm noticing that there's a huge push towards showcasing the person behind the products. 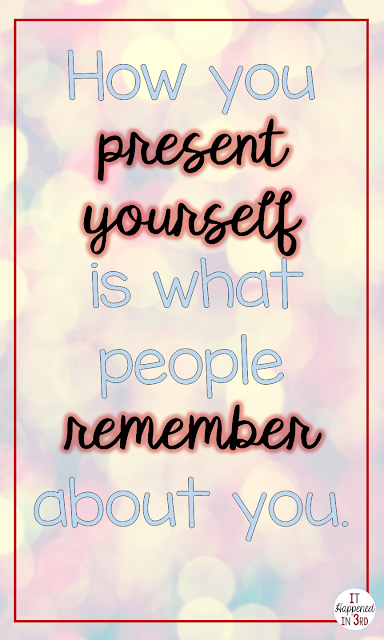 You are marketing yourself as much as you are your content, and video is becoming a big part of the process. I'm not going to lie, putting any type of spotlight on myself is WAAAAY out of my comfort zone, but it's going to be necessary if I want to move forward with my business in any substantial way. What does this mean for 2017? Putting more effort into my appearance (it's very easy to slack off in this department when you are required to wear a school polo shirt every day, and the majority of people who see you during the week are under the age of 12...but it's not about them, it's about me), getting back into shape so I can increase my confidence, being more conscious of my tone of voice/body language when dealing with colleagues/new business contacts, and finally, just going for it! I need to believe in myself that I have something important to share with the world, and make sure that people are receptive to it. 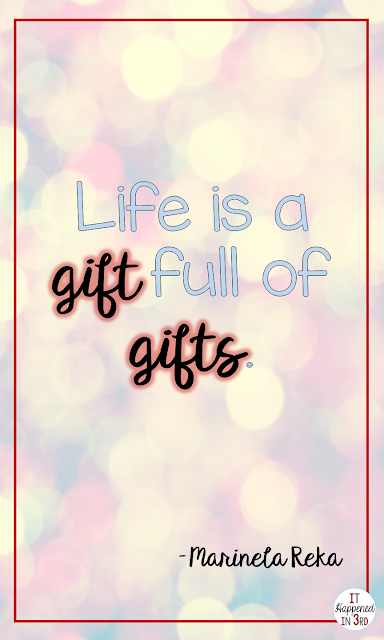 Above all else, I want to remember that life itself is a present, one that can be unwrapped every day. Each day is an opportunity to try something new, to learn a new lesson, to love a little harder, to give a little more. The gifts you receive may not come in the packaging you want, or they may not even be something you think you need...but I feel that if you keep your mind open, every experience you have opens the door to a present of some kind. Those are the three big ways I plan on using my #onelittleword this year. Have you chosen your word yet? Why is your word meaningful to you? That was so thoughtful. I really liked it.